The verse stopped me in my tracks. I didn’t like it. Not one bit. Here’s what happened. Samson was God’s chosen man during a time when the judges ruled Israel. From birth, he was destined to liberate Israel from the Philistines. While Samson was incredibly strong in body, he was very weak in character. Among his character flaws was a fondness for Philistine women. One was named Delilah. The Philistines saw Samson’s infatuation with one of their own as a pathway to discovering the secret to his supernatural strength. So each of the Philistine officials offered Delilah 1,100 shekels of silver to uncover his secret. Three times she begged him to reveal the source of his strength, and three times he lied to her. Listen to her words, and imagine the tone. “How can you say, ‘I love you,’ when you won’t confide in me? This is the third time you have made a fool of me and haven’t told me the secret of your great strength” (Judges 16:15b, NIV). Then comes the verse that stopped me in my tracks: “With such nagging she prodded him day after day until he was sick to death of it” (Judges 16:16). Ouch. Unfortunately, Samson told Delilah the secret. He just couldn’t take the nagging any longer. As a result, his enemies shaved his head, and his strength seeped out with each swipe of the blade. Samson lost his strength and eventually his sight and his freedom … all because he succumbed to the words of a nagging woman. I don’t want to be that woman, and I know you don’t either. Praise God there’s another alternative! Prayer. The Bible says, “The earnest prayer of a righteous person has great power and produces wonderful results” (James 5:16b). After God created Adam, He said, “It is not good for the man to be alone. I will make a helper suitable for him” (Genesis 2:18, NIV). The original Hebrew word for “helper” is ezer — one who comes along to aid, assist or rescue. God didn’t create the woman simply because the man was lonely. He fashioned women with purpose, and one of our greatest opportunities is to be prayer warriors for our men. Prayer is not a means to gain control over our husbands, to whip them into shape and make them the men we want them to be. Instead, prayer is a means of relinquishing control and asking God to shape them into the men He wants them to be. Prayer is the conduit which releases God’s power for our marriages. Sometimes it’s hard to know what to pray for your husband, but in Sharon Jaynes’ book, Praying for Your Husband from Head to Toe, she maps out 16 landmarks to help you consistently and effectively cover your husband in prayer. The 30-day prayer guide provides Scripture for each day along with corresponding prayers to target crucial areas of every man’s life. Have you listened to our new podcast yet?  The Proverbs 31 Ministries Podcast features a biblically based message for any girl, in any season. Click here to listen to the most recent teaching and subscribe so you never miss an episode! Looking for some romance ideas for Valentine’s Day? Click over to Sharon’s website for the free printable of 25 Ways to Romance Your Husband. How have you seen prayer make a difference in your marriage, or another relationship with someone very close to you? Join the conversation, and share your thoughts in the comments!